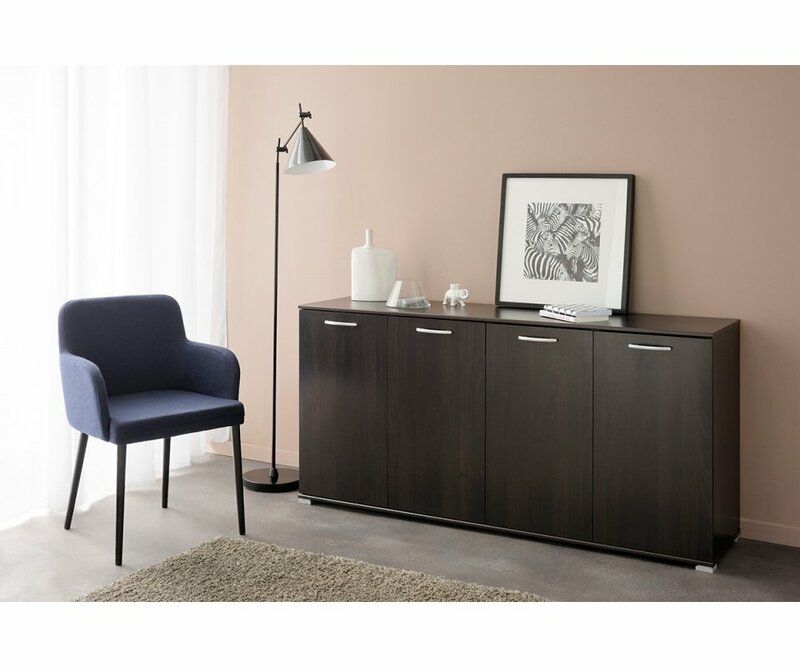 SLEEK CONTEMPORARY STYLE: Sophisticated, yet simple lines, neutral shades, and nickel door handles pair well with most home décor styles and color schemes. 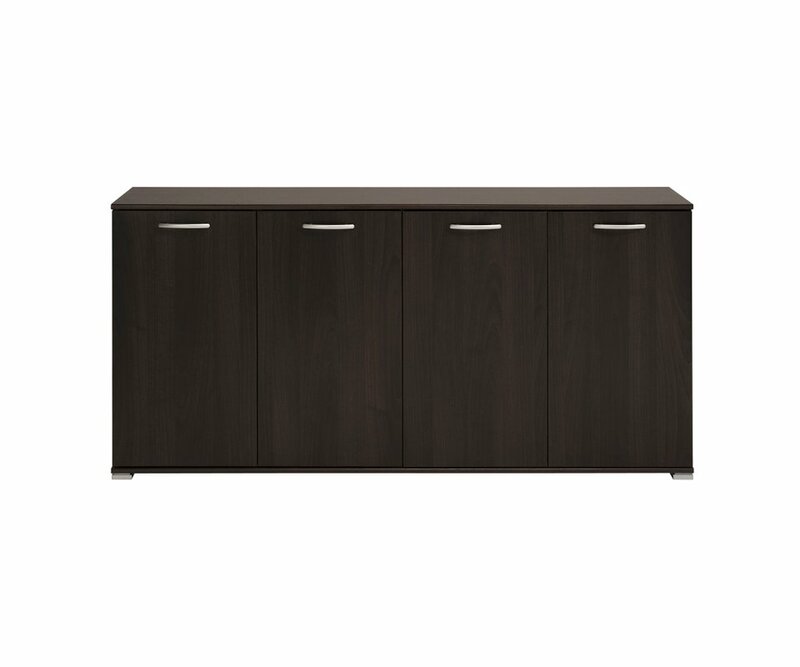 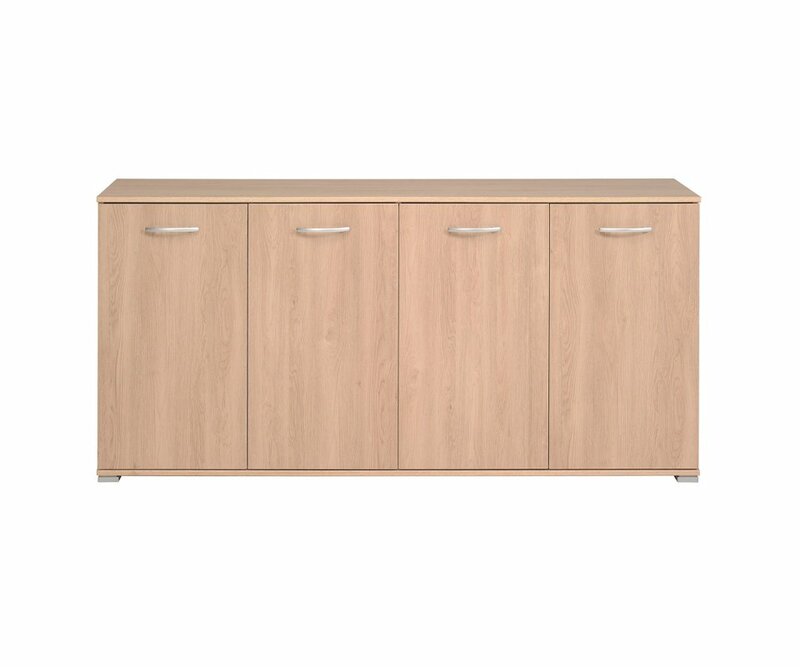 TOP-QUALITY PRODUCT: Manufactured from A quality particleboard and heavy-duty hardware, providing a sideboard that won’t bow or split under weight. 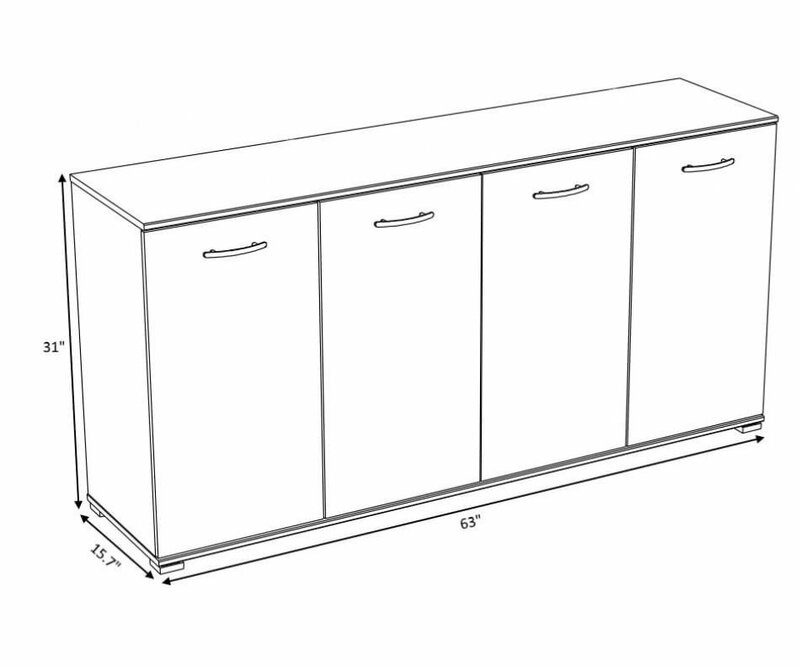 ROOMY STORAGE SPACE: Two sets of cabinet doors open on left and right with wide roomy shelves to store your best china, serving dishes, platters and much more! 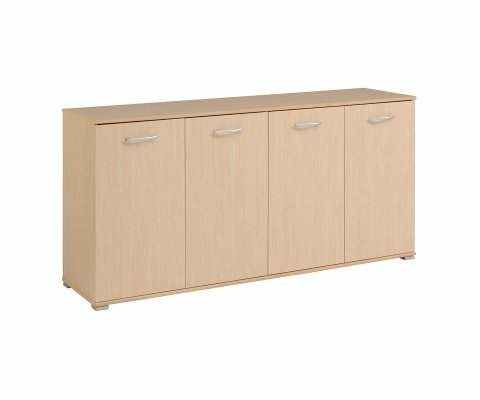 LARGE TOP SURFACE: Create a buffet or bar area for entertaining family and friends with over 5’ of width and only 15” depth, perfect for homes, apartments, and downsized lifestyles! 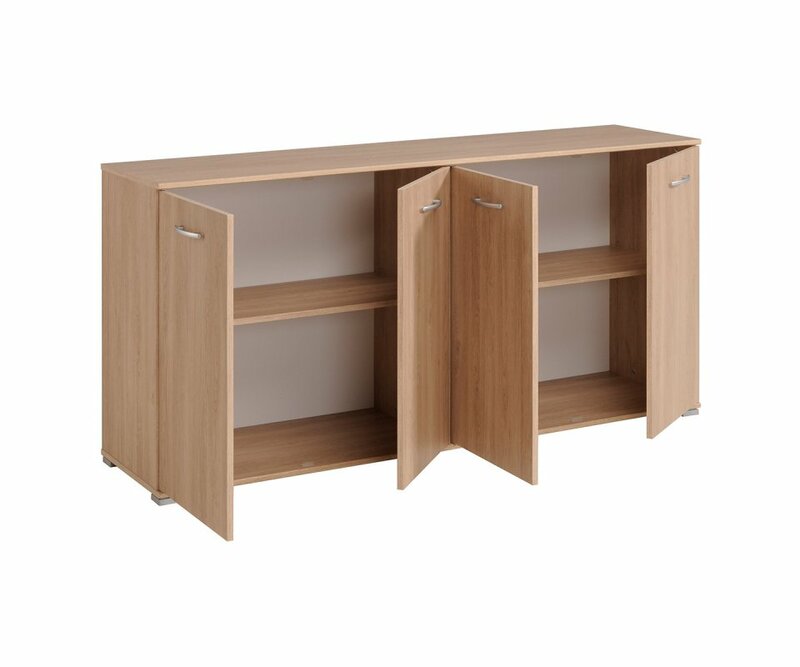 DURABLE VENEER FINISH: Premium foil finish in either dark coffee or neutral beech woodgrain are both beautiful and stand up to time, resisting scratches, stains, and water ring damage. A sideboard is regarded as a furniture essential for a dining room or open floorplan. 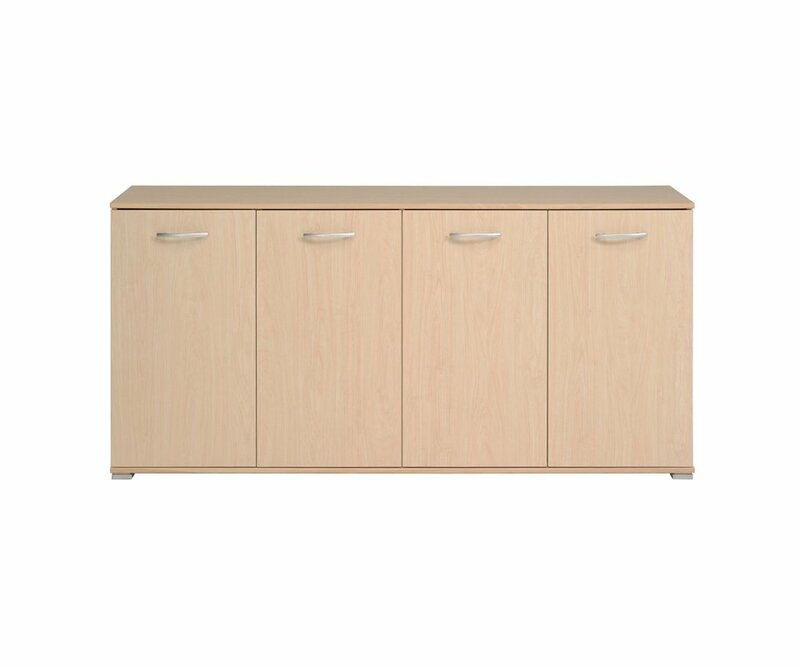 It can be a food buffet, a bar, a storage area for living room or foyer, a room divider, and more. 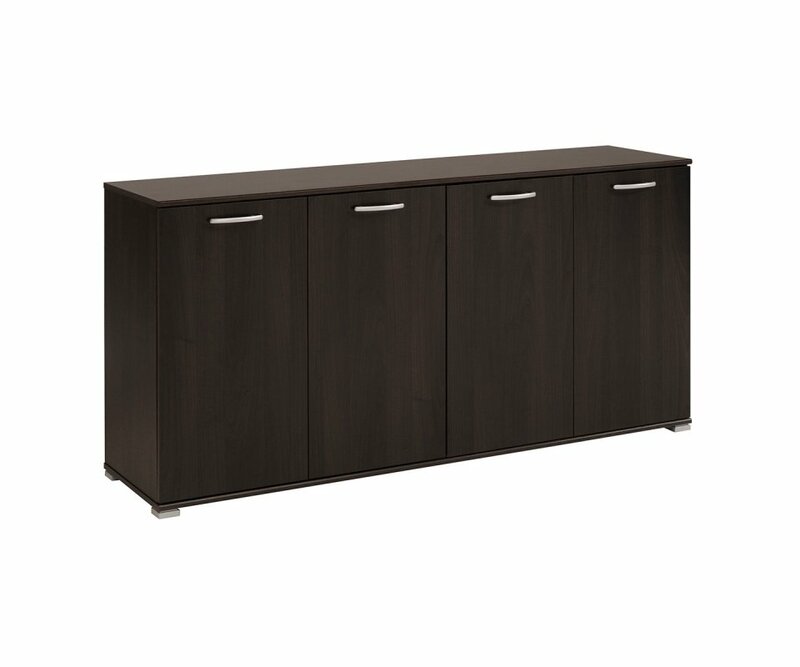 RoomSmart’s Element Sideboard has four cabinet doors, set into a contemporary, sleek cabinet design that is simple, yet elegant and fits with most home décor styles. 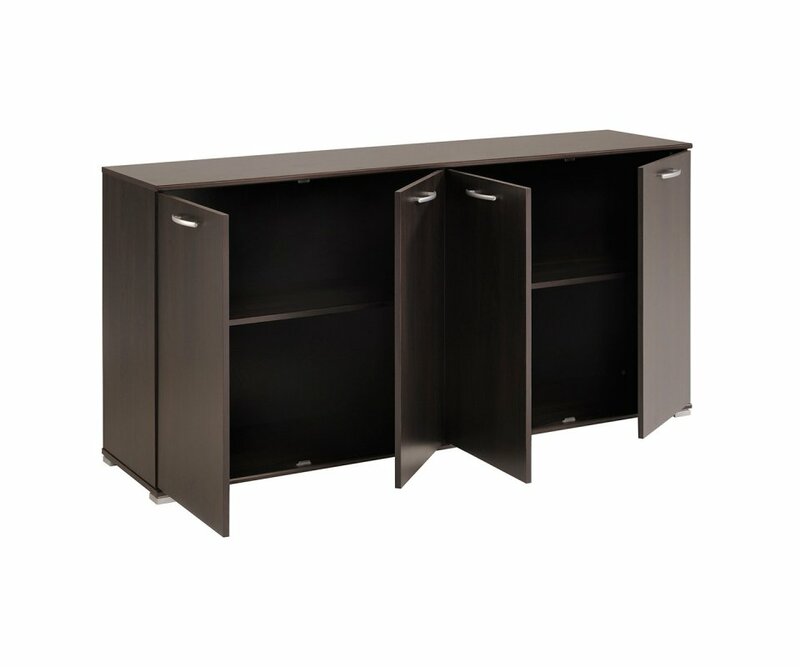 The colors are neutral, either a dark coffee or light beech foil finish veneer. 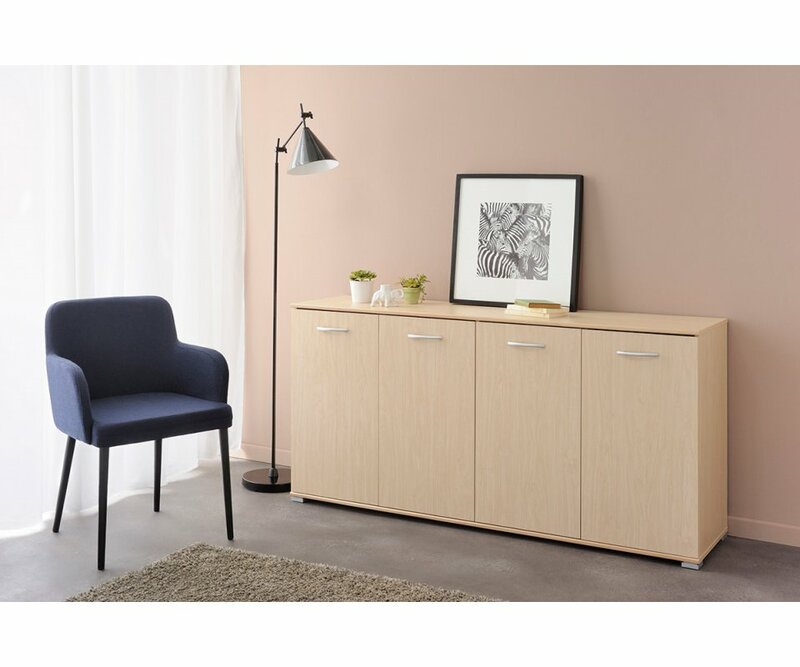 The construction is top notch, using eco-friendly quality fiberboard and heavy-duty hardware that create a sturdy and durable piece of furniture that you can enjoy for years. 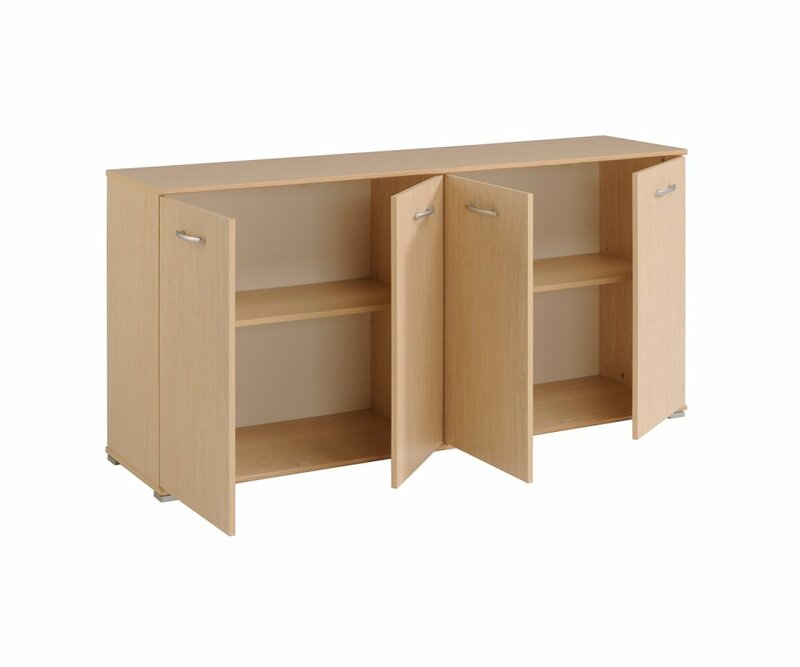 There’s plenty of storage space in the cabinets, with wide, roomy shelves that are large enough for your big platters and other serving dishes, your grandmother’s tea service, your boxes of board games or craft items, or anything else you want to store. The Element sideboard is long, over 5’, and just 15” in depth, so you have lots of room for your buffet foods without taking up lots of floor space in your dining area. 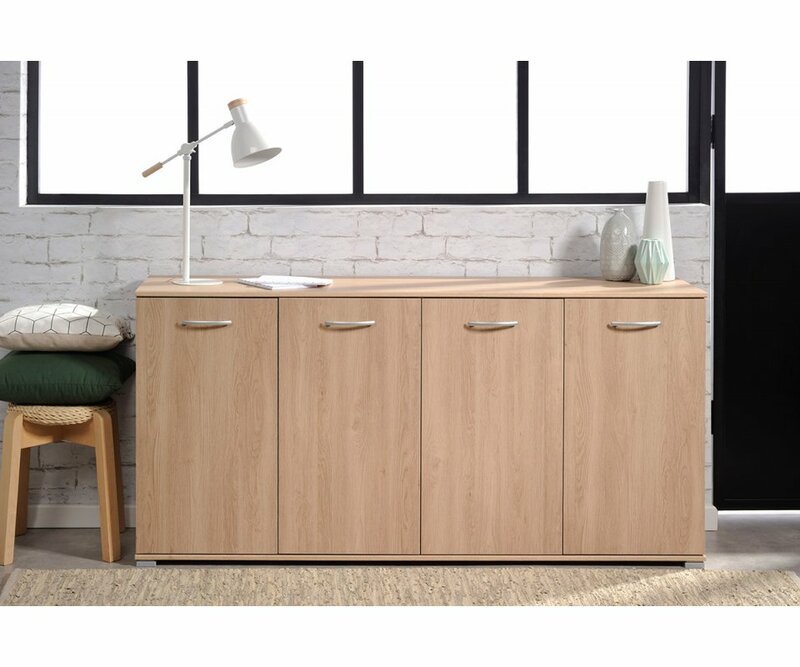 It’s made by Parisot, of France, who has spent over 80 years expanding ideas and creating space-saving storage solutions for today’s lifestyles!